Tied To The Mast are a multi-faceted vessel which rides the tempest of sounds from North West Seattle (cemented by Pavitt and Poneman at their Sub Pop desk) before swigging the last dregs of José Cuervo tequila from Josh Homme’s Rancho De La Luna studio, and then shaking off the hangover with a bike ride on Brighton seafront with Gaz Coombes. This is a British band with a difference. If anything is evident in the world of music, having a DIY attitude gets things done. The Pixies did it in 1987 with the ‘Purple Tape’ and Sub Pop changed an industry from the ‘inside out’ in the 1990s with the same ’can-do’ attitude. It’s happening all over again with Mostar Records and Tied To The Mast. Embracing a cacophony of sounds, and melding the DNA strands of Nirvana & Sonic Youth, the haemoglobin ‘Plain Lazy’ debut single brings together the slacker art rock of Beck & Pavement, whilst sitting comfortably alongside the British song-writing of the Kinks and Supergrass. Tied To The Mast create a Frankenstein monster of Alt Rock that submerges influences from both sides of the Atlantic to create a sound that is distinctly their own. 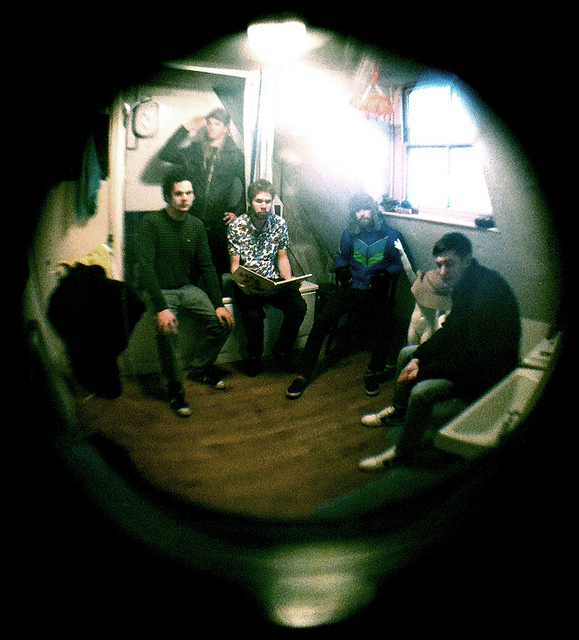 Recorded, produced and mastered in their own studio somewhere in the depths of the South Downs in Sussex, their debut Mostar single begins to hint at the band’s wider sound – one that is explosively evident during their live sets and brings together an organic product of bone crushing riffs, barstool sing-a-longs and sundrenched tunes. Tied to the Mast are setting sail for higher ground, so pull up a chair, a bottle of rum and come on board. "Tied To The Mast have managed to encapsulate the slacker-grunge pop made famous by Nirvana.. and are already stamping their authority on the music world"
Bands & Books 2: Full Line-up revealed!